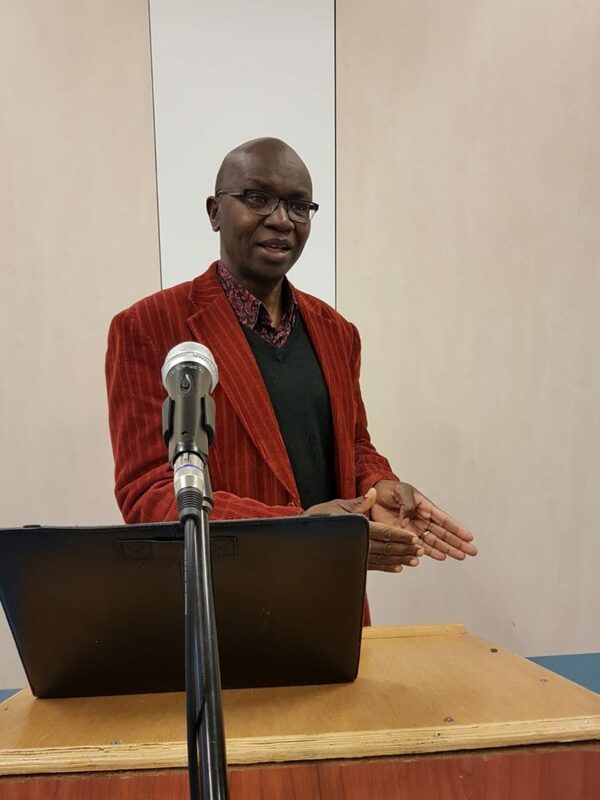 Words of encouragement By Brother Richard Ochieng, of the inspirational speakers of Sudanese Gospel Mission Church. Now it had happened as they were coming home when David was returning from the slaughter of the [b]Philistine, that the women had come out of all the cities of Israel, singing, and dancing, to meet King Saul, with tambourines, with joy, and with musical instruments. 7 So the women sang as they danced, and said: “Saul has slain his thousands, And David his ten thousand.”8 Then Saul was very angry, and the saying displeased him; and he said, “They have ascribed to David ten thousand, and to me, they have ascribed only thousands. Now, what more can he have but the kingdom?” 9 So Saul [c]eyed David from that day forward. As a young boy, I remembered watching athletics. When the runners were ready, someone would say the following: Get on your marks, get set, go! Each runner in the race had a starting mark and a lane on which to run. When he hears, ‘go!’ he would run with his eyes ahead, keeping in his lane. There is a race for each one of us to run but on the way, the weight, concerns, difficulties, and challenges can ensnare us, but so long as we keep our eyes focused on Jesus, who is the author and finisher of our faith, we can make it. Saul began running his race well, keeping on his lane and with his eyes focused on God. He was the first king of Israel anointed and appointed by God, and God blessed him. But whenever the brightness of God’s blessing blinds us from the blesser, it is no longer a blessing; it has become a curse. The brightness of the blessing blinded Saul so that he was more concerned with being the king that worshipping the King of kings. He was more concerned with keeping his position than he was with about being in God’s presence, consequently, God had to remove the blessings from him. So when he heard the songs of the ladies, Saul concluded that they were making comparisons between him and David. He was no longer focused on his race; comparison caused him to shift his focus away from God to David. From that time on Saul kept his eyes on David instead of on God. Some people do not run the race God has set before them, because they have their eyes on the people on the lanes beside them. Isn’t it funny that when you are in a traffic jam, the only lane which seems not to be moving is your lane? We try to get into the other lane sometimes almost causing accidents. It was quite natural for the Israelites to celebrate the victory over Goliath. The women rejoiced with singing and dancing. Songs were composed to remember the defeat of the Philistines: ‘Saul has slain his thousands, and David his ten thousand.’ In good poetic parallelism, the song used a fixed word pair in common use in the ancient Middle East. The terms thousand and ten thousand were understood to be synonyms, used for emphasis. This is illustrated for instance in Psalm 91:7, Deuteronomy 32:30 and Micah 6:7. The expression is not meant to be taken literally. Neither Saul nor David literally killed that many Philistines. Instead, these are figurative terms intended to celebrate the stunning victory over the Philistine enemy. The song was simply saying, was are joyful because the enemy was destroyed, thanks to Saul and David. Both Saul and David were exalted in the song. Saul should have known this. But the attribution of tens of thousands of the enemy killed to David angered Saul. And from that day Saul life started a downward spiral as a result of what negative comparison will do to one’s life. to be the unique person God has created for a specific purpose. Every day as you run your race, be more and more like Jesus, and unlike anybody else God has ever created. And with your eyes on him, he gives you the strength to run the race. This is why when your faith is in Jesus, you should not make comments like, well I am just a schoolteacher. No, you are not just a schoolteacher, you are God’s representative in the classroom so that the class can see what Jesus looks like when Jesus is teaching a class. That is your lane. You are not just a cleaner; you are God’s representative in the environmental ministry so the people can see what Jesus looks like when he keeps the environment clean. In this Dutch society, when you start a conversation with someone you have met for the first time, it will not take long before the conversation turns to work. ‘What kind of work do you do?’ is a typical question that I dread but cannot avoid answering. The society sees and identifies you through the type of work you do. For the last almost two years I have been jobless, so my answer would be something like, I am just a stay-at-home dad or Huisman as the Dutch would say. But thinking back now, I now realize that I am not just a Huisman, I am God’s representative at home so that the family can see what Jesus looks like when he protects, cooks cleans and generally cares for the wellbeing of the family. That is my lane at this point in time. Whatever you do whether it is paid or unpaid job, you are God’s representative so that people can see what Jesus looks like doing that job, it is your lane. The challenge is to keep on your lane and your eyes on him because the day you start running your race with your eyes on somebody’s else lane, your life is heading for a crash. No wonder Saul had such a huge crash because comparison caused him to shift his focus from God to David. There is nothing like a negative comparison or a but for me attitude that will rob you of your joy, take away your peace, rendering you unable to celebrate other people. There are some signs that will let you know when you have them but me or negative comparison glasses on. When you cannot celebrate the success of other people. It is so easy to put on the but-me glasses, especially in the culture of today, the culture of social media because we have so many devices through which we can see whatever everybody else has, what everybody is doing, making you hate your life. Our awareness only increases our discontentment. Notifications are coming on your smart devices all the time day and night. The screens on our phones, ipads, and laptops have become mirrors by which we constantly check for reflection just to see if we measure up to somebody else. Rev. 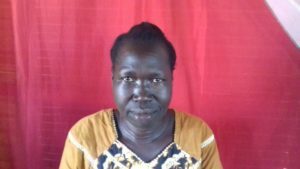 Christopher, pictured here with his wife Suzan, was born on 23 October 1952 in Loa, South Sudan. Christopher and Suzan have been married since 3rd March 1981. 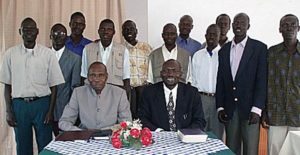 Christopher was originally ordained as a pastor in the Africa Inland Church, Sudan. 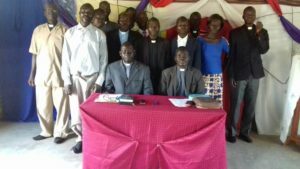 Christopher is now the President and founder of the Sudanese Gospel Mission (SGM). He founded a church in Houten, Netherlands in 2000. Pastors have been trained to lead the churches and others are in training. We also now have our own Theological College. 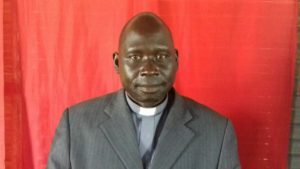 The overall leader of the work in Uganda and Sudan is Rev. Thomas Inyu.